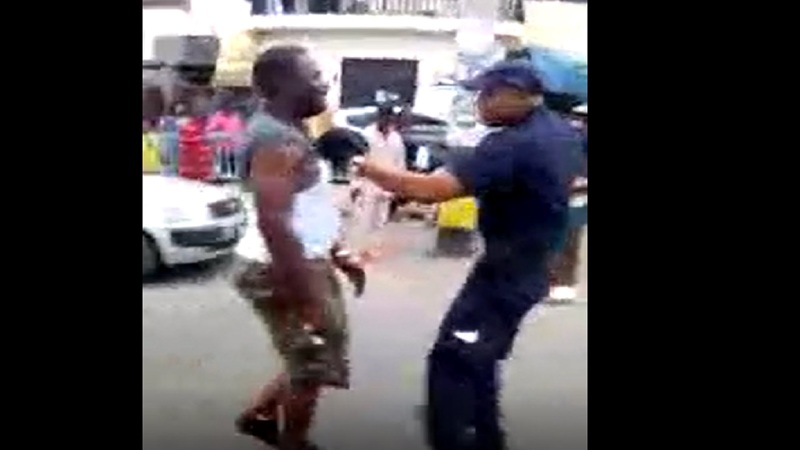 Screenshot of video showing a defiant bus driver defying orders from a cop in St James. 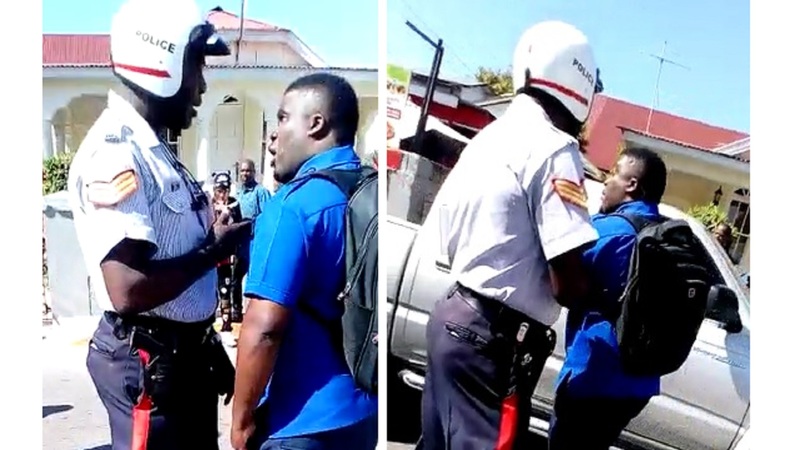 Police body cameras aren't yet widely used in Jamaica, but the proliferation of camera phones among civilians has allowed law enforcement officers to capture some of the controversial encounters they have with members of the public across the island. 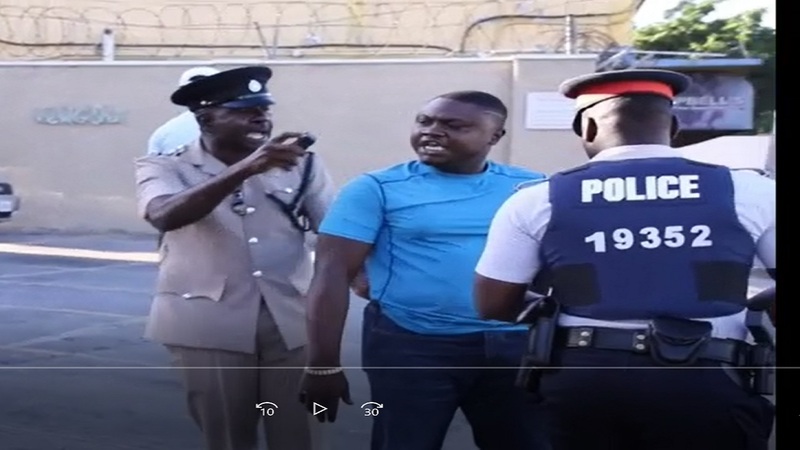 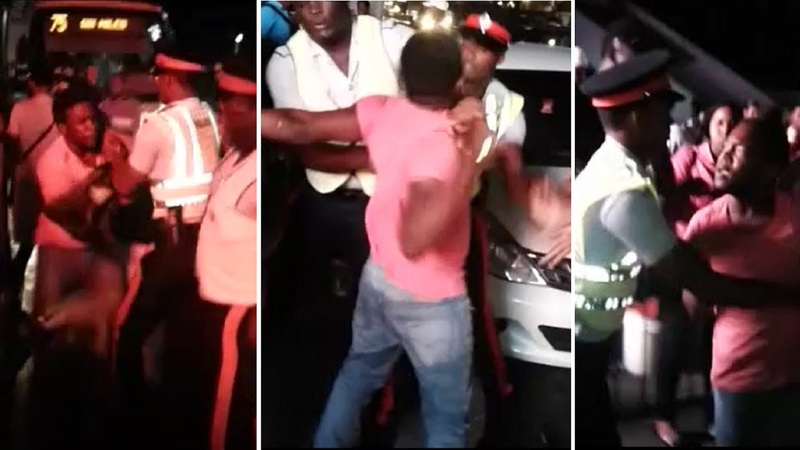 “Officer, if you don't give me back my key, you not getting back your key, you don't know me sergeant, you can’t take my key; you mussi mad,” the motorists is heard telling the policeman in the video.